Well Hello to all of you who have followed and kept coming back to visit our site. I am making my triumphant return to the blog after a two year hiatus. For the past two years I have served my District as the District Deputy Grand Master, and felt it necessary to avoid posting, as holding that office would mean my thoughts and opinions would be looked at as that of the Grand Lodge of Pennsylvania and that is something that I did not want to have happen. Now that I have made the choice to resign my position in the District, I feel I am able to once again continue my work, to speak about my love of the Craft and help it prosper any way that I can. I titled this post as “Ownership of the Craft” because, well each of us owns our own little piece of the Masonic Fraternity and it is time that we begin to use our part, to do more. 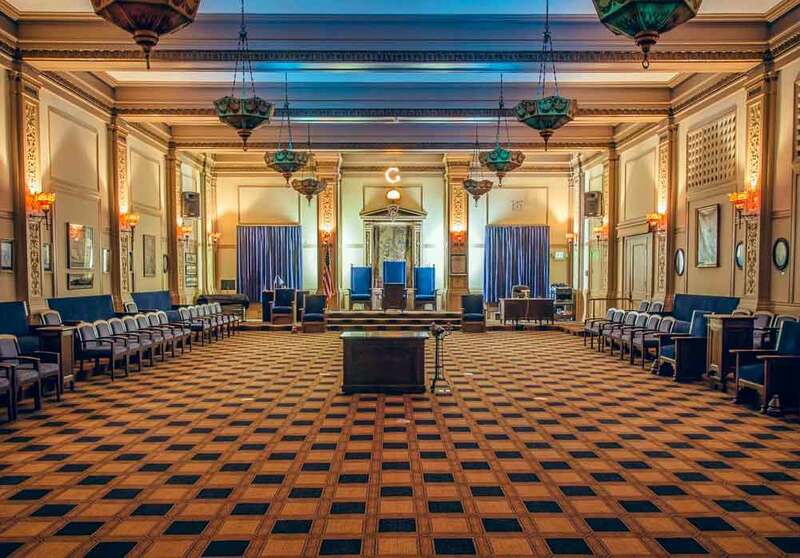 Before you comment, “no one owns the Fraternity” or “Grand Lodges own the Fraternity”, I ask you, where would the Grand Lodges be, and what would be left of the Fraternity if one day we all decided to walk away? So you see we as dues paying, Master Masons, each own a small part of what makes up the oldest and proudest Fraternity in the world. Now what should we do with each of our little parts of ownership? Debate and discuss and plan and complain are all the things we opt for. As Brother RJ stated in an earlier article, we all to often harp on the mundane superfluidities of Freemasonry such as numbers and dues and participation. So if that is the new norm how do we break it? Each of us has answer to that and it goes back to the beginning. Why did you become a Freemason? What stuck with you through the degrees? What are you most proud of in your lodge? This is where we take ownership. I have found a love for almost every aspect of Freemasonry. Top two are ritual proficiency and the less discussed (in general) esoteric side of the Fraternity. Definition of esoteric: “intended for or likely to be understood by only a small number of people with a specialized knowledge or interest.“(Dictionary.com). The reason that I am most fond of these two particular aspects is because they go hand in hand. If you have a command of the ritual, you can begin to extrapolate the deeper meanings. A simpler term for esoteric can be simply philosophical. If you have ever taken a a philosophy course, you know it is hard to fail it. Philosophy is beautiful because it is how particular things make you feel and how they have changed your life. This is the part of Freemasonry that we own forever. Now, up above I put in parentheses, “in general” when I was referring to esoteric Freemasonry being lesser discussed. Well that’s because not many members take the time to be deep rooted in the underlying meaning and symbolism behind what we as Masons do. This is where the meat and potatoes are in Freemasonry. I, myself, did not realize how being a Mason changed me until after four years of membership. I had completed my first term as Worshipful Master of my lodge and took a moment to look back over my past five years. Where I was before becoming a Mason and where I was now. The change was dramatic. That’s when I began to dig deeper, and realized that I needed to tell my story, not actual life story but my “How Freemasonry changed me” story. Everyone should have one of these stories, these are the tools we need to rejuvenate the Craft. For recruitment, for mentoring, and for retention, these stories are what new and old members need to keep them interested. When someone who has only been a Mason for 2 years and says that “they still don’t see what all this is supposed to mean”, tell them why you are still here. If an older member says “I think i have gotten everything I can out of the fraternity”, blow their mind with knowledge they haven’t heard anyone talk about yet. Everyone has a Masonic legacy at their disposal, some take it to a high level and attain great distinction like Past Grand Secretary Bro. Thomas W. Jackson, and some may continue a family Masonic lineage. Just because you didn’t change the world of the Fraternity doesn’t mean you can’t help it on the local level. Remember what brought you to be a member, what keeps you a member and pass it on. Own your part of Freemasonry and teach others how to own theirs, if you don’t you’re just paying rent. Bro. Spangler is a former District Deputy Grand Master of the 27th Masonic District under the Right Worshipful Grand Lodge of Pennsylvania and a two time Past Master of Armstrong Lodge #239 in Freeport, PA. He is a two time Past High Priest and current Most Excellent High Priesr of Orient Holy Royal Arch Chapter #247, Thrice Illustrious Master of Kittanning Council #52, and Warder of Holyrood Commandery #100 all in Kittanning, PA. A member of Gateway to the West Council #5 of Knight Masons USA located in Pittsburgh, PA and a member of Antioch Conclave of the Red Cross of Constantine in New Castle, PA. He is at the forefront of advancing Freemasonry to the best of his ability by working within the constraints of the Rules and Regulations to spread the light of Freemasonry. He focuses highly on the philosophical and symbolic importance of the fraternity and the promoting of Masonic Education.